See the HMI, not the code. With EB GUIDE, you design your UX by creating a graphical representation of your UI and its workflow. You can model the workflow with a UML state machine. 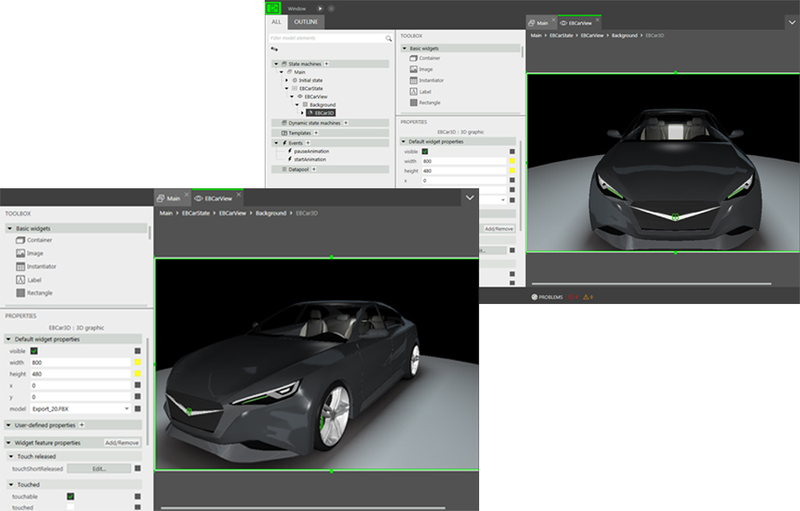 EB GUIDE provides a true WYSIWYG environment—you’ll see character and other limitations, feedback on user actions, the actual animations, and every other element in your model. Viewing and testing your HMI from the model is easy. Chances are you’re designing for multiple modalities: voice, touch, and graphical interface. EB GUIDE lets you model all of them so you can build a consistent experience across interaction modes and reuse components and approaches. While still getting the best quality in all modalities: haptic and speech user input, multi-touch and path gestures, graphical and speech output. With 3D graphics, effects, and animations, you can build the quality interface your customers expect. Import whole scenes (from FBX and other formats) with complex animations and render them with DirectX or OpenGLES. Import graphics from Adobe Photoshop and use animated view transitions to create fluid HMIs. EB GUIDE’s interface is natural, intuitive, and easy to learn. Get started right away on your HMI by using EB’s templates. Then, create your own widget templates and model parts to reuse on the next project. 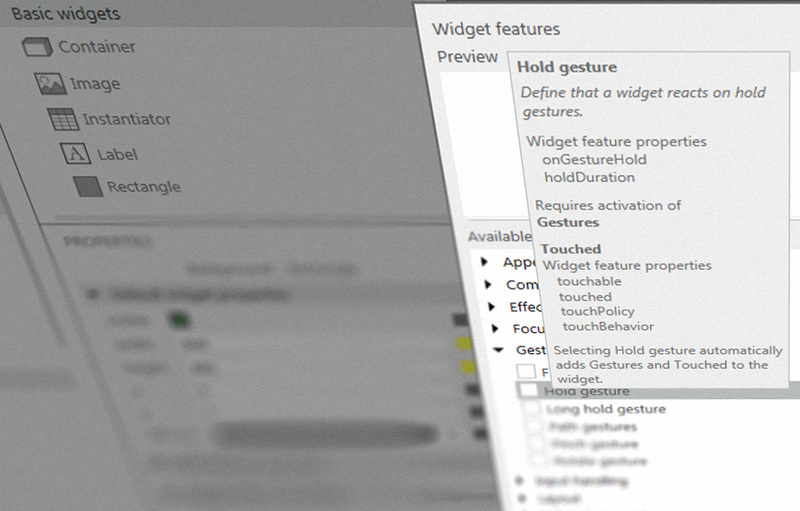 Widget templates provide a consistent look and feel within and across projects.